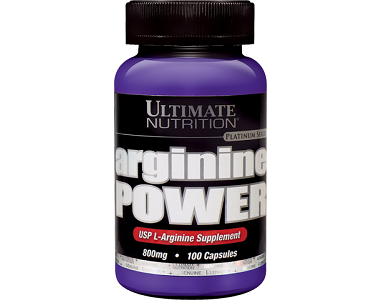 Today we review the product Arginine Power manufactured by Ultimate Nutrition. Arginine Power claims to benefit your growth hormone levels and protein synthesis which helps your body to maximize cellular replication. 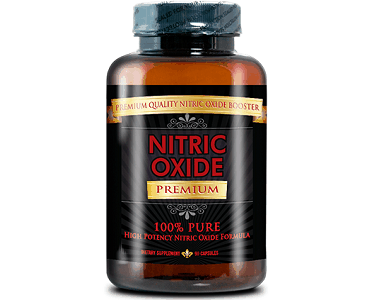 This product also helps your body to produce nitric oxide which keep your blood vessels dilates during workouts, helping you to build muscle faster. If you would like to know more about the health benefits of this product, read the rest of our in-depth review below. What’s in Ultimate Nutrition Arginine Power? This product contains 800 mg of L-Arginine in each capsule. L- Arginine is a naturally formed amino acid in the body which helps to increase growth hormones, synthesize certain proteins and can help to lower your body fat percentage. Most importantly, L-Arginine is responsible for producing Nitric Oxide which helps to supply your muscles with an abundance of oxygen to maximize your workouts. Although this ingredient is vital for a strong physical workout, this product seems to be lacking other vital ingredients included in competitive products of other leading brands like certain vitamins, minerals and antioxidants. There is also no ingredients included that regulates testosterone levels in the body which has been proven to significantly increase muscle building. 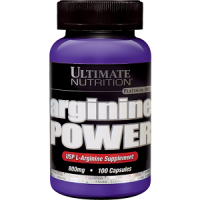 How Do You Use Ultimate Nutrition Arginine Power? It is recommended that you take 1 – 2 capsules per day at least 30 minutes before you start your workout. If you are pregnant, nursing or suffering from a serious medical condition it is best to speak to your doctor before taking this supplement. You can purchase this supplement directly from the manufacturer’s website for $28.95 per bottle. Each bottle contains 100 capsules and can last up to 3 months. Although we could not find discounts relating to bulk purchases, this product is a lot more affordable when compared to similar products on the market. After thorough research we were unable to find a guarantee relating to this product. This is a problem as it points to the fact that the manufacturers have very little confidence when it comes to the effectiveness of this product. It also means that customers will be taking a financial risk when buying this product. Most of the customer reviews regarding this product were positive, however some reviewers did complain about the size of the capsules and that they had to wait a long time before seeing actual visible results. We like that this products aims to help customers build muscle faster naturally and that it helps to sustain optimal energy levels. We also like that this product is quite inexpensive when compared to similar products currently on the market. However, we are very discouraged regarding the lack of a decent guarantee. This shows a lack of confidence in the claimed results of the product and makes it an unlikely choice for people wanting to work wisely with their hard-earned money. We also feel that key ingredients are missing that help to regulate testosterone levels in the body, meaning that this product is not very well-rounded overall.